Point Standing: 7th with 4,041 points, 42 points outside the top-four cutoff. ● Bowyer started second and finished fourth to earn seven bonus points. ● Dropped to fourth in the opening laps but began turning quickest lap times on the track. ● Captured second place by passing Kyle Busch on lap 34. ● Pitted under caution on lap 46 and restarted fifth. ● Climbed back to fourth before the end of the stage. ● Told the crew his car was loose in and loose off the corners. ● Bowyer started sixth and finished eighth to earn three bonus points. ● Bowyer and William Byron made contact while pitting during the stage break. The No. 14 suffered minor front-end damage, but the crew kept Bowyer on the track. ● Dropped to eighth reporting his car was still loose. ● Crew made major handling adjustments at the end of the stage. ● Bowyer started ninth and finished 21st. ● Climbed to sixth in the opening laps of the stage. ● Bowyer continued to battle handling issues and dropped back to ninth. ● Pitted under caution with 110 laps remaining for tires, fuel and more adjustments and dropped to 11th. ● Bowyer raced in ninth with 60 laps remaining. ● With just 44 laps remaining Bowyer was clipped by Jimmie Johnson as he and Daniel Suarez raced in turn three. 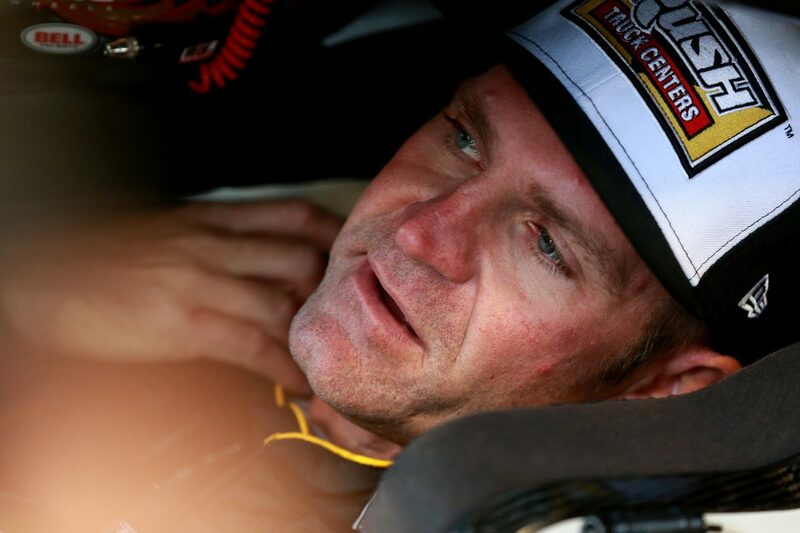 ● Bowyer’s spin dropped him a lap behind the leaders and to 21st where he finished the race. ● Bowyer led one lap to increase his laps-led total at Martinsville to 572.